As a plaything for the pay-TV industry, Hulu suffers from a long-standing lack of direction. Hulu has been firing on all cylinders lately, so of course the service’s pay-TV overlords are scheming the best way to ruin it. Late last month, the Wall Street Journal reported that Time Warner—the media company, which is separate from Time Warner Cable—was looking to buy a 25-percent stake in Hulu. One of Time Warner’s goals, according to the Journal’s unnamed sources, is to eliminate current-season TV shows from the streaming service. Apparently Time Warner feels that Hulu is too attractive to cord cutters, who’ve abandoned expensive cable-TV bundles for cheaper and more flexible streaming services. Time Warner would rather preserve the cable model, as the company owns several TV networks including CNN, TNT, TBS, and HBO. Although Hulu’s current owners—Disney, 21st Century Fox, and Comcast—aren’t planning to eliminate next-day TV shows in the near future, whether to do so in the long term is an “open question,” the Journal’s sources say. This change, of course, would obviously be bad news for anyone who relies on Hulu as part of their streaming-video diet. But if Hulu’s owners are indeed considering Time Warner’s plan, the news is much more troubling for Hulu itself. The Journal’s report suggests that after all these years, Hulu still doesn’t know what it wants to be. Hulu has been operating with renewed vigor lately. Last year, the company splurged on new licensing deals, securing the rights to all Seinfeld episodes and to future programming from FX and AMC. Another deal with Showtime lets subscribers add the channel’s live feed and complete on-demand library for $9 per month—a $2 discount from Showtime’s standalone subscription service. 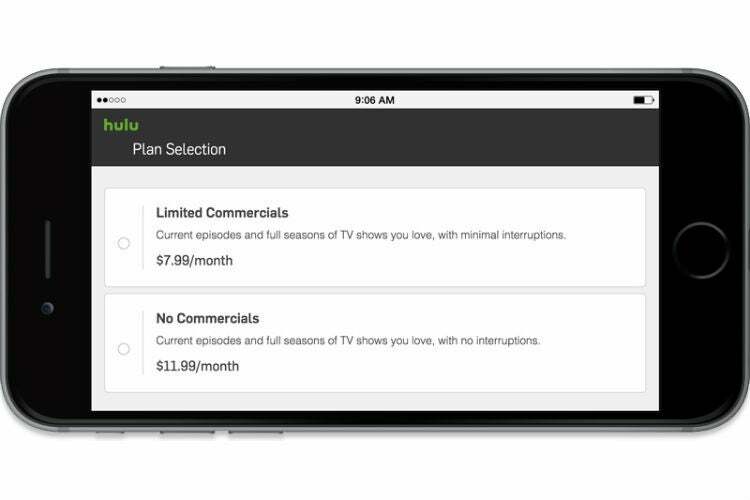 And in September, after years of hints and false-starts, Hulu finally rolled out an ad-free tier. While it’s $4 pricier than the ad-supported version at $12 per month, the new plan acknowledged that ad-free viewing is the norm for streaming video. That genie isn’t going back in that bottle. Hulu subscribers can ditch the ads for an extra $4 per month. These efforts have helped Hulu grow substantially. According to the Wall Street Journal, the service reached 10 million U.S. subscribers last year, up from 6 million in 2014. Hulu’s newfound pep is no accident. As Wired’s David Pierce wrote this week, the company recently replaced its Silicon Valley management with Hollywood dealmakers, and it received a cash injection for new content. “They got an additional $750 million to invest, and one instruction: Grow. Fast,” Pierce wrote. Some of that money is now funding a major push into original programming, in an attempt to produce streaming hits on par with Netflix’s House of Cards and Amazon’s Transparent. 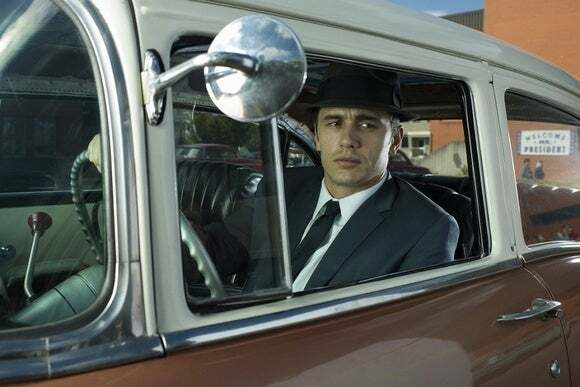 This week’s debut of 11.22.63—based on a Stephen King novel, produced by J.J. Abrams, and starring James Franco—is Hulu’s most ambitious original show to date. Additional splashy dramas are coming this year, including The Path (starring Aaron Paul) and Chance (starring Hugh Laurie). Original movies, kids programming, and more could follow, Wired’s Pierce wrote. Hulu hopes to make an impact with 11.22.63, an eight-part miniseries. All of this activity is fantastic for current subscribers, but as always with Hulu, there’s no telling how long it’ll last. The company’s direction has always depended on the whims of its owners, and their goals are constantly changing. Visit Hulu.com today, for instance, and you’re redirected to a welcome page that advertises paid subscriptions. The only way to find the Hulu’s free, ad-supported online video is to click the small “Hulu” link in the top-left corner, or scroll down the another small link that invites you to “enjoy sample content.” The original vision for Hulu, as a way to combat piracy with free next-day TV shows on the web, is long gone. Hulu’s second iteration focused on paid subscriptions, and access to current shows on a wide range of mobile and connected-TV devices. This approach still has plenty of appeal for cable subscribers—as of last summer, more than three quarters of Hulu users also subscribed to a big pay-TV package—but it’s also turning Hulu into a sort of “cable lite” for cord cutters. The latter scenario might explain why Hulu is investing more in original programming and licensing content outside of next-day network TV. Regardless of whether Time Warner buys in, these investments help Hulu reduce its reliance on up-to-date network shows. That way, the company’s ownership would have an easier time pulling the plug on next-day TV for all but authenticated cable subscribers. On some level, the loss of next-day TV wouldn’t be tragic if Hulu supplied enough quality content to fill the void. This iteration would turn Hulu into another Netflix—an online channel with premium original content backed by older licensed programming. But given Hulu’s history of shifting motives, can anyone be certain the company will stay on course? Content is expensive, and Hulu’s backers could easily lose interest and let the service fall into another lull. There’s a reason Netflix plans to spend $5 billion on content this year: The company has a clear goal to offer high-quality programming for every potential niche, and to offer that programming without friction. That means no commercials, no waiting between episodes, and—at least ideally—personal recommendations so good that you don’t waste any time sifting through menus. So far, Netflix has attracted plenty of shareholders to invest in that vision. By contrast, what are Hulu’s backers investing in? What’s the vision for the product, and how much are they willing to spend to realize it? If the only answer is to isolate and preserve the pay-TV model, Hulu is in jeopardy with or without Time Warner’s involvement.